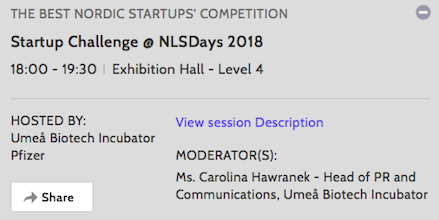 An international panel of life science investors have selected Lipum as one of 12 companies for the final of the live pitch competition at the Nordic Life Science Days 2018. Learn more about Lipum and other successful companies. We will also attend the partnering activities during the NLSDays in Stockholm, Sept 10-12. Please contact us for a meeting.